For A Limited Time - Book Today! We provide a discount group rates for your weddings, fun spa weekends, family reunions and tour groups. We offer short or long-term lodgings for business travelers and work crews. The Heartwood Inn & Spa, conveniently located on the edge of downtown Drumheller, the heart of the Canadian Badlands. Consistently rated #1 on Trip Advisor, the Heartwood is the choice Drumheller accommodation for couples, groups and families wanting a more intimate setting away from busy, impersonal Drumheller hotels and motels. While most accommodations in Drumheller offer standard hotel rooms, the Heartwood has eight uniquely-designed guest rooms- some with inviting jetted tubs for two or an over-sized walk-in shower may be more your style. Some of our guests like to drift off to sleep enjoying the warmth of a fireplace; whichever room you choose be assured they are created to make your stay an unforgettable one. For families with kids or pets - try our "pet friendly" guest houses with BBQ's, private yards and fire pits. Signature spa services include therapeutic massage, couples side-by-side pedicures, luxurious facials, scrubs and wraps. Zeke's famous French Toast Breakfast is available most mornings in our dining room for $10 ($6 for children). Some other reasons to visit Drumheller: The Royal Tyrrell Museum of Paleontology; Rosebud Dinner Theatre (we have a "Rosebud Package" that includes luxury accommodations); the Dinosaur Trail Golf and Country Club and the Atlas Coal Mine. Our Events page offers specials, promotions, packages and getaway deals. We also post specials on Trip Advisor. 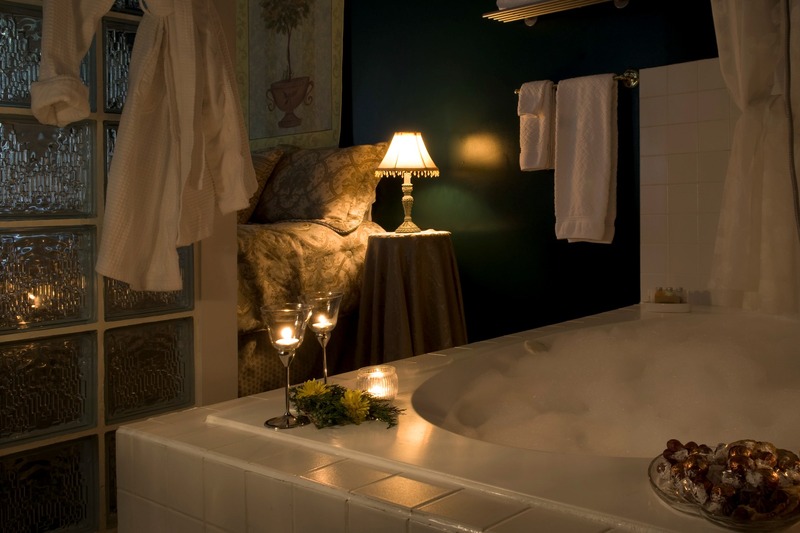 While we are best known for our "romantic escapes" we also accommodate corporate retreats, fun spa weekends, family reunions and short or long-term lodgings for work crews.